‘Hey, have you ever heard of a beer called IPA? Apparently it’s a really bitter…’ — And that’s when your face goes dull with that ‘You so 2000 and late’ look and you stop listening. That’s being nice- you’d probably tune out at ‘IPA’. Just like how Christopher Columbus thought he was the first to discover America, so too are foodies, trendies, and fledgling craft beer enthusiasts of late discovering sour beer. Hipsters heard about them after NPR broke the story on sours in October of 2013, but then promptly gave up drinking them a week later out of principle. My mom even forwarded me a snippet from February’s Bon Appétit magazine¹ where the author dishes out food pairing advice, remarking how the “elegant Champagne fizz and acidic twang” of this sour style, beloved by “beer nerds” [thanks? ], “chainsaws through fatty or salty foods, yet is delicate enough for sushi.” Domo arigato Mr. Foodboto, but having an appreciation for sour beer does not qualify one as a “beer nerd” (whatever that means) any more than eating at a food truck makes one a culinary aficionado. The truth is that if NPR, Bon Appétit, USA Today, the New York Times, and my mom have already heard about them, sours have officially reached critical mainstream mass. Though to be fair to the late comers, sour brews have only gained this new found pop culture popularity over the last two or three years. Prior to that, sour craft beers were something of a rarity stateside, let alone the majority of the modern beer drinking world. Go back 150 years though, and sour beers weren’t simply a regional specialty or a brewer’s attempt at passion-driven innovation, nor were they altogether uncommon. Even so, it was seldom the brewery’s intention to pour their publicans a sour pint. In fact, in many circles of the brewing industry, sour beer was often referred to as “diseased beer” and was almost without exception considered the bane of the brewhouse. Because once a brewery noticed one of its beers becoming unintentionally sour, to its helpless devastation, it was usually only a matter of time before the rest of the production line followed sour suit, thereby risking the life of the brewery itself. And beer wasn’t the only fermentable becoming “diseased”. Nope, wine and some spirit producers suffered the same fate as well. That was until 1866 when Louis Pasteur, under the commission of Emperor Napoleon III- nephew to the Napoleon (oh my), published his book Etudes sur le Vin (Studies on Wine) as a remedy to both the economic and reputational loss within the French winemaking industry due to diseased wine. Both brewers and winemakers alike were plagued by “spoilage”, or the unintentional souring of their products, and it was Pasteur, doctor of boozeology, who identified that the culprits responsible for the souring were primarily tiny black rod shaped lactic acid producing micro-organisms presumably introduced into the fermenting beverages via germ-ridden dust in the air (an idea that was largely groundbreaking for the day). What was Pasteur’s solution to these ATDs (Aerially Transmitted Diseases)? Practice safe fermentation. Clean up the winery and the staff, limit exposure of the wine to the souring critters in the air, and last but not least, master the art of Pasteurization, i.e. heating the wine to about 122-144 °F for a specific period of time in order to kill off any potential souring microorganisms. 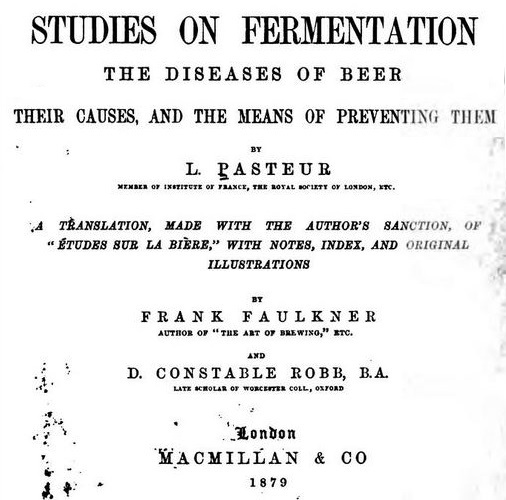 Many of these tactics were soon adopted by the brewing industry along with other methods including temperature control, increased hopping rates, and yeast purification, all of which were prescribed in Pasteur’s follow-up blockbuster (and Amazon Best Seller of 1876) Etudes sur la Bière²; literally “Studies on Beer”, but masterfully translated into English as “Studies on Fermentation: The Diseases of Beer”. And with this, the days of sour beers appeared to be numbered; however the final curtain call wouldn’t come from Pasteur, but rather a man on an island over 600 miles away. Around the time Pasteur was releasing his book Studies on Beer, Danish scientist Emil Hansen was set with the task of separating out unwanted microorganisms in a yeast culture in order to cultivate a pure strain of yeast. But this was no random undertaking in the vacuum of science. No, Hansen was employed by the Carlsberg Laboratory in Copenhagen, a facility created in 1875 by the founder of the Carlsberg Brewery and established for the purpose of advancing biochemical knowledge particularly related to brewing. It turns out that Hansen was triumphantly successful at his task and in 1883 he was able to isolate one very particular yeast strain that would go on to form the basis of a certain style of beer that quickly dominated the world. 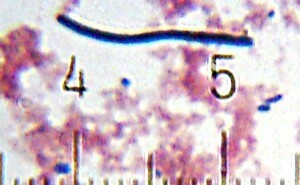 This singular variety of yeast in conjunction with the techniques Hansen used to ensure a pure culture brought about not only the absolute monarchy of a single beer style (which established the reign of at least one King of Beers in the U.S.), but also led to the growth of multi-billion dollar corporations so powerful that it would take a revolution to even slightly loosen their soul-crushing stranglehold on the industry. The beer style in question is none other than lager. Hansen’s pure lager yeast was offered to other breweries when their beers turned sour, and eventually this lager yeast made its way around the world, changing the entire landscape of beer along with it. In honor of Hansen’s industry revolutionizing accomplishment, the Carlsberg Brewing consort named this world-famous pure yeast strain after him, calling it “Saccharomyces Carlsbergensis”— wait, umm, well close enough. But it was to be Hansen who would have the last laugh as S. Carlsbergensis was later renamed, to the delight of Francophiles, “S. Pastorianus”, which of course is Latin for “let’s pretend that Pasteur figured out how to produce pure yeast cultures and give no credit to Hansen”. I guess if you really wanted to get technical, Hansen actually “borrowed” his yeast separating technique from German microbiologist Robert Koch.³ So if I were Germany, I’d throw my vote in for renaming the yeast “S. Kochianus”, but that’s just me. Brewers became so efficient at isolating and controlling souring bacteria and yeast that with the exception of a number of breweries in Belgium and a few regional ones in Germany, sour beers nearly went extinct. Certainly some sour styles of beer did go extinct, and perhaps more would have if it weren’t in large part for the craft beer revolution sweeping the globe today. Country after country is walking up from its lager/pilsner saturated slumbers and realizing there’s something else out there. Something better. Something sour. And we want it. 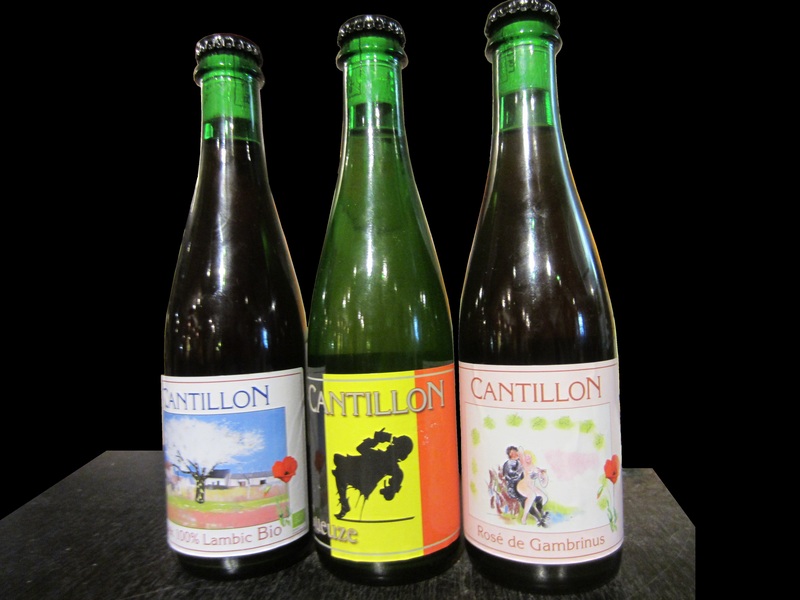 It’s said that a full 70 percent of the production of the world-renowned Belgian sour beer producer, Cantillon, is exported to the U.S. To those who’ve ever had the pleasure of sipping a sour from Cantillon, you’ll know why the U.S., as with other desirable finite commodities, wants as much of it as we can get our greedy little fingers on. And sours aren’t just the realm of traditional continental breweries or the more specialized Russian River or Crooked Stave types in the U.S. Big names are getting in on the action too. Boston Beer Company, Sierra Nevada, Widmer Brothers, Flying Dog, Magic Hat, Odell, Avery, Anderson Valley, Great Lakes, Bell’s, Allagash, Ballast Point, Deschutes, New Belgium, Goose Island, Three Floyds, and Grand Teton have all brewed sours or have one in the rotation. I wouldn’t be surprised to see a weak, watery pseudo sour in the pipe from one of the mega un-craft breweries trying to cash in on this craze, albeit disguised in the predictable faux-craft fashion as is now the custom (think Bluemoon and Shocktop- brewed by Coors and Anheuser Busch respectively, and both go out of their way to hide that fact on the bottles). Alanis couldn’t have written a better irony. To be honest, I’m shocked that the last major brewery in Berlin that still brews Berliner Weisse hasn’t gotten the message. As far as I know, the Berliner-Kindl-Schultheiss-Brauerei GmbH (yeah, yeah, German words are long), doesn’t even distribute their sours to the U.S., let alone much outside of Berlin. Talk about missing Das Boot. 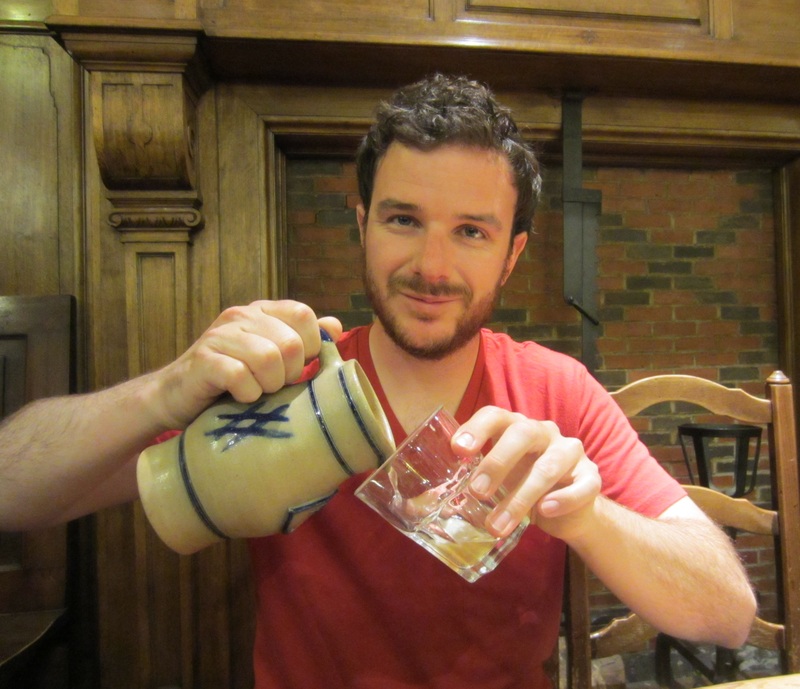 Despite the bandwagon, sour beers aren’t universally welcomed. To this day, some breweries are so concerned about the souring boogiemen bacteria, many brewmasters have sworn that they will never brew a sour beer lest their entire brewery become infected. I know of at least one brewery owner who told me that not only will he never brew a sour, but that sour beers will never become popular enough to sell. I guess only time will tell if sour beers ever catch on.